For us, this innovative documentary series has already resulted in three different restaurant reservations in three very different locations so far (Slovenia, Sweden, and Chile)… and they are often made impulsively during the 45 – 60 minute period of watching the show. In the case of Slovenia and Italy, we were already aware of the region’s natural beauty, but had not really focused at all on the very high quality and distinct food and wine options that were available and equally worth traveling for. As we watched the episode profiling Ana Roš we intuitively knew that a trip to Kobarid was required and an email to the reservations team at Hiša Franko was sent. The perfect foundation to a trip, and an excellent meal was had (the week after we made our reservation Ana was named world's best female chef for 2017 – timing is everything) as we enjoyed Ana’s unique take on reinventing traditional regional dishes of the Soča valley area. 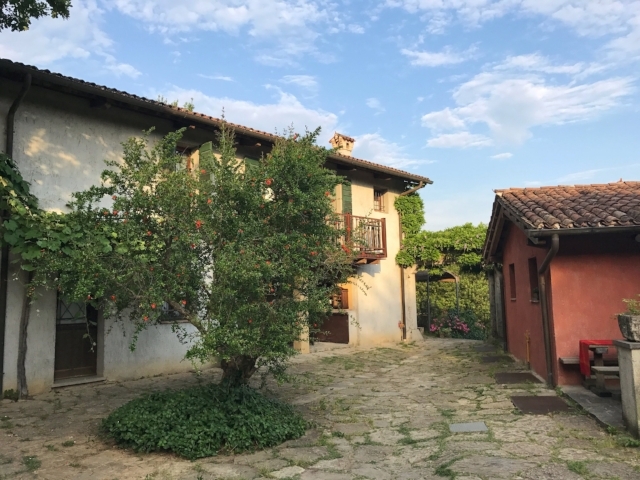 However - the trip expanded further when we learned a bit later in the episode that Ana and her husband had frequently visited, and were in part inspired by, another restaurant which was just across the border in Italy: La Subida. “My husband brought me to that restaurant and it would make my heart race,” said Ana, of La Subida. It was at La Subida where Ana’s love and talent for creative food began. “Let’s drink more shall we! ?” was the jocular question posed to us near the end of a thoroughly enjoyable meal and experience at that very restaurant, La Subida, which sits just outside of Cormons Italy and situated on the border with Slovenia. La Subida is not only a restaurant, but also a rural residence where people come to get away. 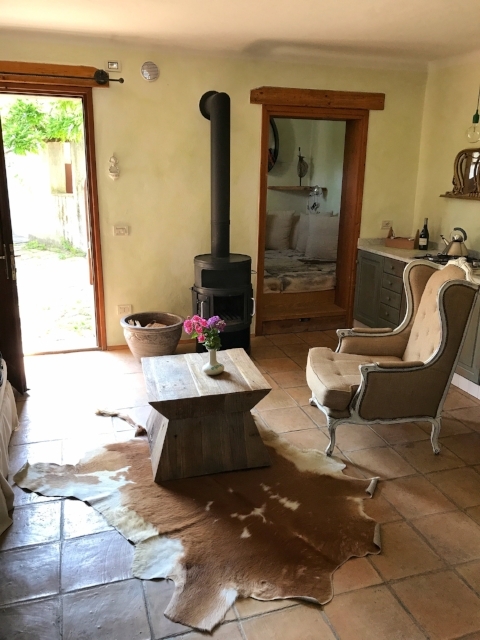 It is an entirely unique destination, capturing that ‘country elegance’ or ‘rustic luxury’ that so many properties today attempt (and fail) to manufacture or conjure up from new facilities, while here it is done effortlessly. The Sirk family is essentially welcoming you in to their country home, opened in 1960 as an inn and osteria, and now a Michelin starred (but this is not necessarily promoted…more accepted humbly) facility with an eclectic-in-a-very-good-way group of dwellings that go by the charming and appropriate names: Countryside, Grandma’s, Of the Wood, Of the Vinegar Factory, The Barn (Kozovci), and The Nest. There is also no question about the main focus of the area when handed the key to your cottage: wine is what makes the world go round in this region. Everything about our accommodations just felt comfortable, from when we arrived and were asked to sit on the courtyard sofa with a glass of sparkling and a local cheese snack before Mitja provided us with an overview of their property and the region, to enjoying the scenery from the terrace of the Osteria with a glass of the local Friuliano white wine (we found a preference for those from the Collio region of Friuli) to exploring the property and the neighbouring countryside before just relaxing and noting just how quiet it is in this part of the world at night. Then there is the food – thoroughly authentic and based on local cuisine (and hyper local produce) but at the same time refined with little touches and bursts of flavor – and a palate cleansing course of vinegar sorbet from their own on-site wine vinegar factory of which I could have easily had seconds (or thirds). Having eaten the evening prior at Hisa Franko, this was the perfect follow up to that dining event. The two restaurants are connected by produce, wine, people, and history which is evident but at the same time a very different experience. That sense of rustic luxury again evident in the casual tenor and flow of the meal without any sacrifice on quality – again, in a completely comfortable, almost understated atmosphere. For all the beauty of the Collio / Cormons area, scores of adventures and visual treats are available just across the border… all within a 90 minute to 2 hour striking distance from La Subida which allows you to travel from the vineyards to the snowy peaks of Slovenia (we started our trip in the mountain passes of Kranjska Gora) over the milky turquoise rivers of Slovenia and back in one day if you wish – further enhancing one’s stay in this sometimes overlooked but remarkably attractive part of the world.